– Texas A&M’s Devin Dixon talking about running 1:45.27 to break the American collegiate record. Devin Dixon of Texas A&M DESTROYS American collegiate record - runs 1:45.27 - at altitude!! Could Sydney McLaughlin break the women’s 800m world record? Boston is an atrocious city. I will never go there again. What's happening to our civilization? Siblings should not get their own individual bedrooms; they should share throughout childhood. Change my mind. 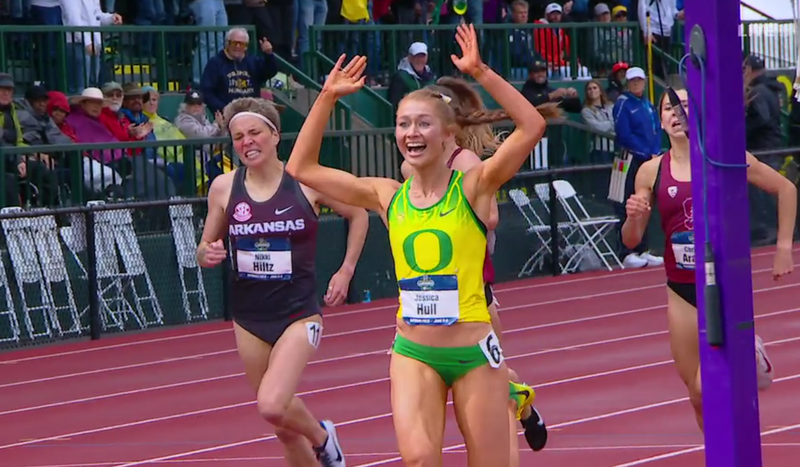 *Oregon Men Take Team Title At Razorback Invite Oregon got six individual wins including Cooper Teare in the mile (3:59.21) and Charlie Hunter in the 3000 (7:59.88). Air Quality Device Installed In Australia As Part of The IAAF’s Global Program To Monitor And Share Air Quality Data They’re installing air quality monitors in six track stadiums around the world. IAAF Installs Air Quality Monitor In Mexico City It will collect data to assess the impact of environmental pollution on the performance of athletes and help with strategies to combat it. Hmmm, maybe they should put one of these in Beijing? New Research By The IAAF’s Health And Science Department Highlights The Importance Of “Proper Readiness” When Competing In Extreme Weather Conditions We hope they didn’t spend too much money on this “research” for what are some pretty common sense conclusions. UK Anti-Doping Calls For Independent Review Into WADA’s Handling Of Russian Doping Scandal UKAD called for “robust changes” to WADA. Belgium’s Olympic Heptathlon Champ Nafissatou Thiam To Miss Indoor Season With Injury She tore a muscle in her left leg. 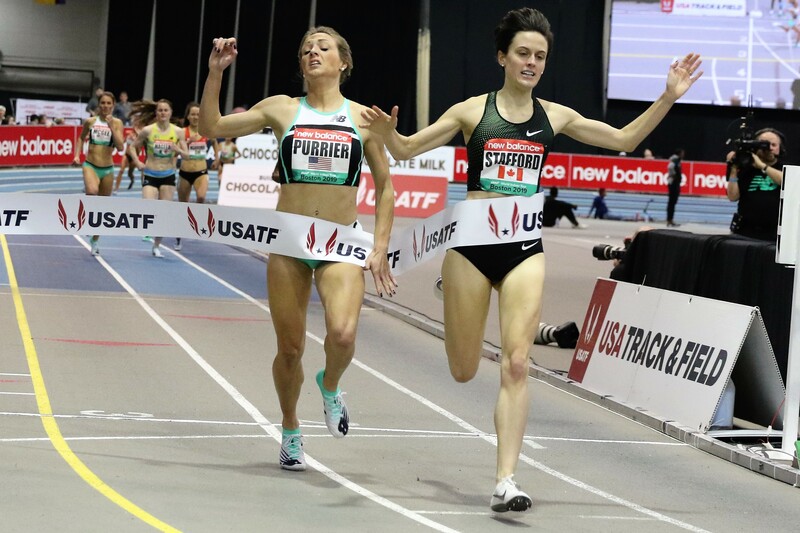 World And Olympic Champ Katerina Stefanidi Opens Her Season With 4.74m Win At The Pole Vault Summit In Reno, Nevada She beat out US indoor champ Katie Nageotte on countback. 2017 NCAA champ Matt Ludwig won the men’s in 5.71m. Mondo Duplantis finished a ways back with 5.51m. 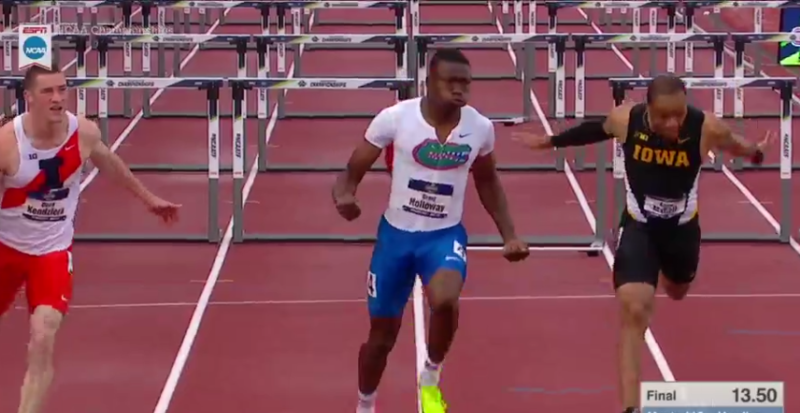 Grant Holloway Runs World-Leading 7.49 60H At The Clemson Invy In Florida In the 60m, Japan’s Abdul Hakim Sani Brown beat out teammate his Florida teammate Ryan Clark as both timed 6.62. Meb Keflezighi Does 30+ Minute Podcast Interview With Carrie Tollefson Meb talks about his upcoming book, life after retiring and his thoughts on Eliud Kipchoge trying to run a sub-2 hour marathon. World Under-20 10,000m Champ Rhonex Kipruto And Brilliant Jepkorir Win Discovery Kenya XC Race Kipruto beat out world U20 5,000m champ Edward Zakayo by 6-seconds. Florida’s Grant Holloway And Middle Tennessee State’s Abike Egbeniyi Took NCAA Athlete Of The Week Honors Holloway now has five of the top ten (including the record) 60H NCAA times ever as he ran 7.49 (5th best all-time). He also won the 200m in 20.69. Egbeniyi ran the fastest collegiate 800 of the season with 2:03.77 and also split a 52.3 on the 4 x 400. Arkansas Remains #1 In Women’s Updated NCAA Rankings Texas A&M moved up to 2nd and Texas made a big jump from 12th to 3rd. Top Three Men’s Teams Remain The Same In Week 1 NCAA Rankings Just like the pre-season rankings, Texas Tech, Florida and Florida State are the top three ranked teams. Event-By-Event Top 10 NCAA Marks From Last Weekend NC State had the two fastest miles from Dominique Clairmonte (4:38.55) and Elly Henes (4:38.75). 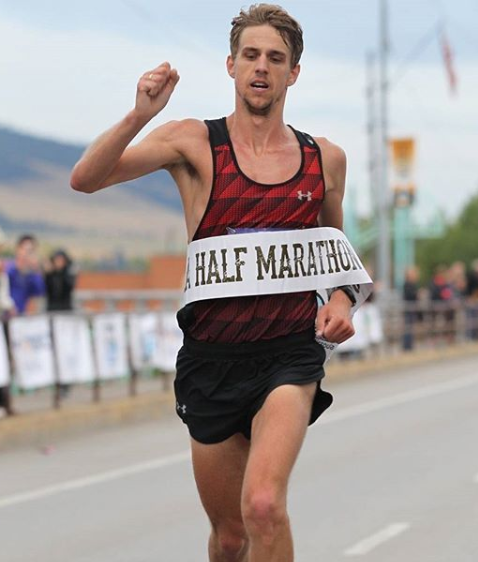 NAZ Elite Signs Four New Athletes The list includes 63-minute half marathoner Nick Hilton, whom we recently profiled before the NYC Marathon. Brooks Gets Two New Signees – 2016 NCAA 1,500m Champ And Portuguese Olympian Marta Pen Freitas And 2:30 Marathoner Michele Lee Freitas joins the Brooks Beasts while Lee joins Hansons-Brooks. Swiss Running Brand On To Sponsor Newly Re-Branded Zap Endurance Earlier this month it was announced that Zap Fitness lost their Reebok sponsorship, but now have a new name and a new sponsor. 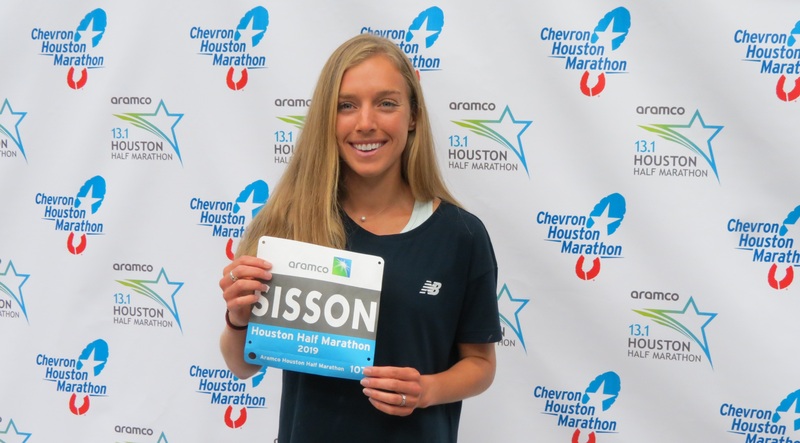 Emily Sisson Runs Second Fastest American Half Ever 67:30!!!! Walmsley runs 1:04:00. Does that make it? 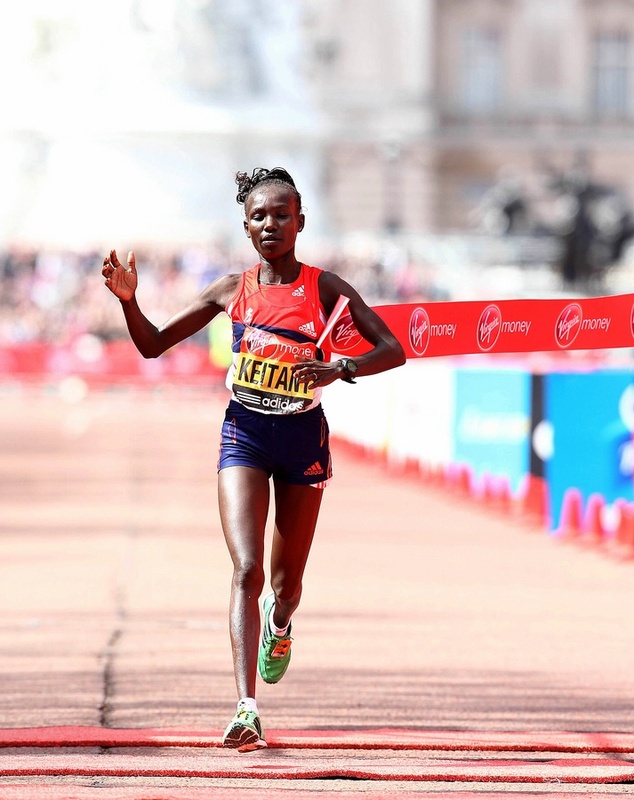 MB: 2019 London Marathon Fields Are Released And Are Unreal – Greatest Women’s Field In History The women’s field has to be the greatest in history as it includes 7 sub-2:20 women, including the reigning champs of Dubai, Tokyo, London, Berlin, Chicago and New York. 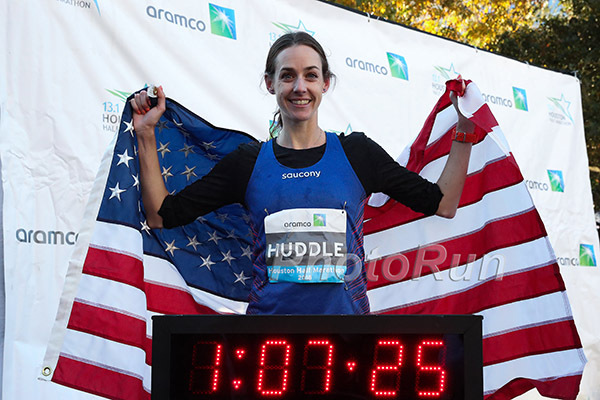 It also includes Americans Molly Huddle, Emily Sisson and Allie Kieffer. The men’s field isn’t too shabby either as it includes the top 5 of our 2018 world rankings and is of course led by the GOAT – Eliud Kipchoge. 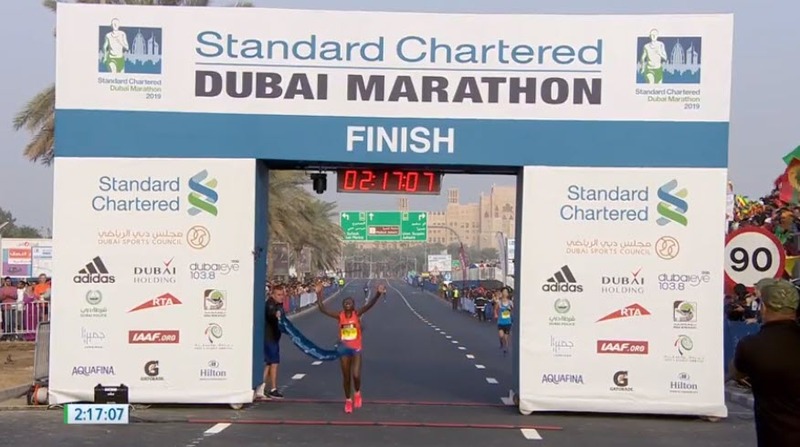 LRC Analysis The Greatest Women’s Marathon Field Ever, Is This Molly Huddle’s Last Chance To Run A Fast Time, & More Thoughts On The 2019 London Marathon Jonathan Gault also breaks down Chris Derrick‘s sub-2:10 and says that Eliud Kipchoge will slow down, eventually. At 45 Years Old, GB’s Jo Pavey Is Targeting A Sixth Olympic Games At Tokyo 2020 If she does it, she’ll tie the record for most Olympic appearances by a British track and field athlete. GB’s Andy Vernon Talks About the Decision To Make His Marathon Debut At London 2019 Vernon is 33 years old and has a half PR of 62:46. Podcast Houston Recap, A New Richest Marathon, Stacked NBIGP, What Does Jim Walmsley’s 64:00 Tell Us About Ultrarunners? 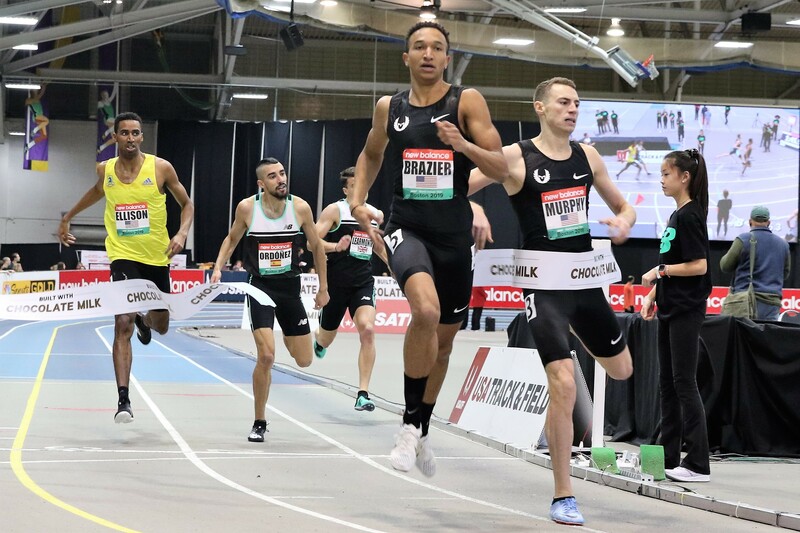 Bekele In Tokyo The pro track and field season is finally here with Donavan Brazier vs. Clayton Murphy to kick it off, Jenny Simpson @5k and more. The world’s richest marathon has changed and a look back at the action in Houston. Plus, a guest appearance from the Vaporfly 4% shoe, a look at Walmsley’s 64:00, and much more. LRC Week That Was: Is The 2019 London Marathon The Greatest Ever? 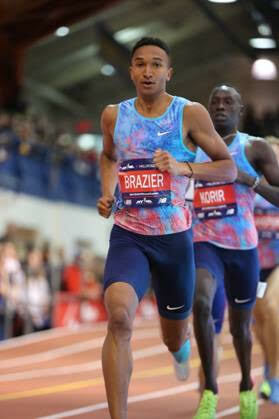 And If You Don’t PR, Keep Trying 24 More Times We start off with praise for the queen of the minor leagues of marathoning, then debate which London Marathon is the best ever before getting excited because Donavan Brazier has returned to action. Updated 1/23/19 with our Ridiculous Tweet of The Week. Steeplechase WR Holder Beatrice Chepkoech And Uganda Teen Star Jacob Kiplimo Win At Seville, Spain XC Race Kiplimo beat out world 10,000m silver medalist Joshua Cheptegei by 16 seconds while Chepkoech dominated over Commonwealth 10,000 champ Stella Chesang and Euro XC champ Yasemin Can. Asian 5,000m Champ Birhanu Balew And Meskerem Mamo Win Northern Ireland XC Race Balew beat a field that included Olympic 10,000 silver medalist Paul Tanui (who ended up 4th). 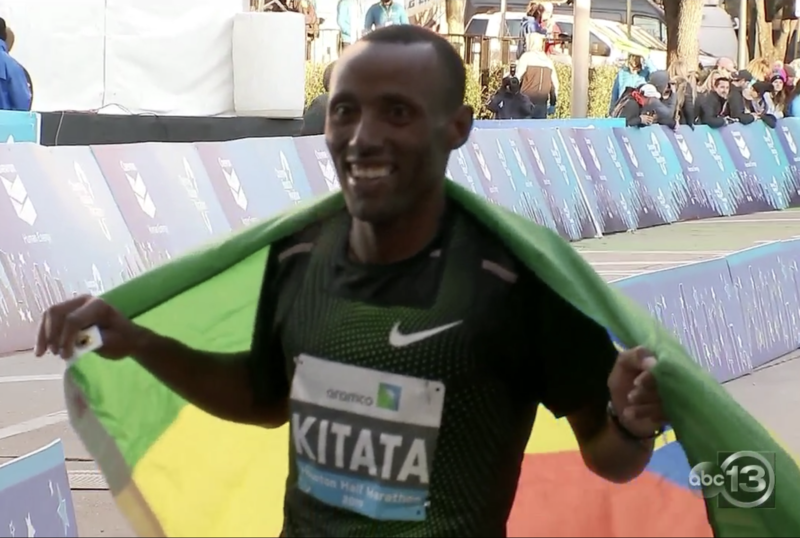 Kenya’s Cosmas Lagat (2:09:15) And Ethiopia’s Worknesh Alemu (2:25:45) Win Mumbai Marathon Despite warm conditions, both marks were the second-fastest winning times in the history of the race. RunBlogRun: Run In Peace, Tommy Leonard – Thoughts On Tommy From Some Of The Sport’s Legends Quotes from Frank Shorter, Bill Rodgers, Rod Dixon, Craig Virgin, Kathrine Switzer and Bobby Hodge.